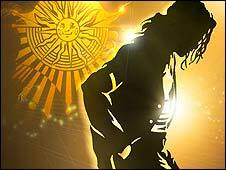 Acrobatic troupe Cirque du Soleil are to stage a live touring show featuring the songs of the late Michael Jackson. "Our family is thrilled that Cirque du Soleil will pay tribute to my son in such an important way," said Jackson's mother Katherine in a statement. The show will go on tour in late 2011, with a permanent Las Vegas production scheduled for 2012. 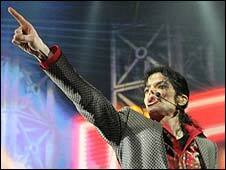 "Fans will experience the excitement of a Michael Jackson concert," said the Montreal-based circus company. The production - to be co-funded by Cirque du Soleil and the Jackson estate - follows earlier shows featuring the music of Elvis Presley and The Beatles. Jackson was known to be a fan of the Cirque and had considered working with them prior to his death last June. "Michael Jackson is the King of Pop and an all-time phenomenal artist, both timeless and contemporary," said company founder Guy Laliberte in a statement. "Through the use of cutting-edge technology, we will produce a Cirque du Soleil experience not only worthy of Michael but unlike any other we have created before." "Having attended Cirque du Soleil performances with Michael I know he was a huge fan," said John Branca, a co-executor of the Jackson estate. "We are excited to be partners with Cirque du Soleil to give Michael's fans a truly unique way to hear, see and feel Michael's music." The as-yet-untitled production will begin as a touring show before finding a permanent home at a Las Vegas casino owned by the MGM Mirage group. A Jackson-themed nightclub is also planned for the Nevada gambling resort.